JOHNSTOWN, Pa. – A federal court jury awarded a $1.56 million verdict to Dan Felix of Cambria County on Tuesday, Dec. 4, after Bordas & Bordas attorney Doug Olcott secured a breach of contract judgment against American National Property and Casualty. Olcott also disproved the insurance company’s claims of material misrepresentation, false swearing and fraud during a seven-day trial. The outcome was the second seven-figure verdict for the Pittsburgh office of Bordas & Bordas this year. The other was for $2 million for Stanley and Marianne Truskie in a medical negligence case after the death of their son Mark. The Felix case, which centered on a residence fire on Frankstown Road in Sidman, was held at the United States District Court for the Western District of Pennsylvania. Felix has worked at PPG Paints in the safety department. After deeming the cause of the fire “undetermined,” the insurance company initially withheld Felix’s replacement living expenses and accused him of policy fraud. Honorable Judge Kim Gibson presided over the case. The insurance company was represented by Richard McMonigle and Bryan Shay from the Philadelphia office of Post & Schell PC. 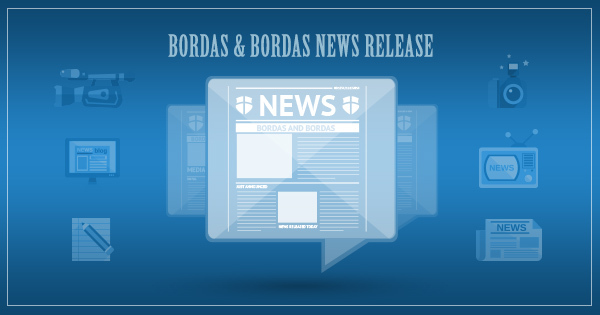 Bordas & Bordas is a plaintiff’s litigation law firm of 19 attorneys with offices in Pittsburgh, Pa., Wheeling, W.Va., St. Clairsville, Ohio and Moundsville, W.Va. The firm’s attorneys practice throughout the region in diverse areas of law and are licensed in Pennsylvania, West Virginia, Ohio, Texas and New Jersey.